The Ruby KT66 are the chinese KT66's from the Shuguang factory. They are characterized as having great cleans, with a nice grind to it when pushed. 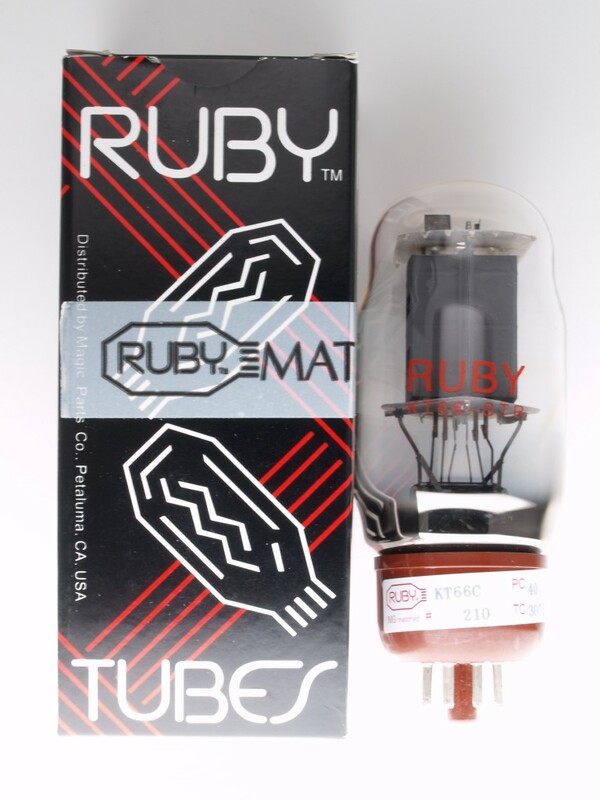 This Ruby tube is a re-labeled Sino, Chinese Shuguang tube.